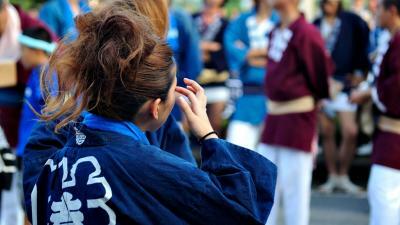 Japanese universities have a culture of holding annual campus festival. It’s open to public so if you go, you will be able to have a feel of what it’s like to be a university student in Japan. In those festivals, food stalls will be run and there will be lectures and special events. In some large university festivals, famous celebrity/comedian/performer kind of people come and do live performances. Another typical event held in those festivals are campus beauty pageants. Here below are details of major university campus festivals. University of Tokyo is a national university collecting top class students from every corners. This festival happens typically in May on one weekend (Friday before the weekend is the preparation day). 5th May 1913 was the very first time the origin of this festival, Daienyukai, was held. It’s a very historical event. This is where students of University of Tokyo showcase their activities and achievements. It’s held every year in late November and is organized and run by a student body called Komaba-sai Committee. Their Waseda Festival is hosted by Waseda Festival planning staff. “Circles” (extracurricular activities groups) support the running of this event. Their Aoyama Festival is an annually held autumn event showcasing academic and cultural activities of students. Its exhibition part includes activities/achievement displays of extracurricular cultural clubs and academic teams, and there are various performances, lectures and events as well as food stall running too. The whole campus will be used and it will be full of visitors. The campus is quite close to Shibuya and all other sightseeing spots, so you can easily pop in to see what it is like. Their campus festival is said to be most lively in the whole Kansai region. They have interesting events and stages of famous people planned out every year and it’s a very popular event for people to come and enjoy. Event timing： late Oct. to early Nov. Male Chinese who works for major advertising agency in Tokyo. 15 years of living in Japan has made him an expert on various Japan related topics. He came to Japan after graduating from high school and now permanently settled in Japan. His hobby is to enjoy local cuisines while travelling around various parts of Japan. He has a personal goal of visiting all prefectures in the country and in the process of achieving it, enjoying trips and dining experiences in the nation on his off-days with his family.